What if SmackDown goes to three hours? SmackDown is rumored to move to three hours. What would that mean for the blue brand? In a major deal for WWE, this fall will see SmackDown Live move from the USA Network to FOX. This won’t be the first time that Raw and SmackDown have aired on separate networks, but it is a big deal for the money involved, and the fact that FOX is a major network that will, at least in theory, expose WWE to a larger weekly audience than it has ever had access to before. Questions abound about whether this might affect the distribution of Superstars, or the brand split altogether. Another question, based on recent rumors and rumblings: might SmackDown transition to being a three-hour show? In recent years, Raw has run for three hours each week, SmackDown for two. 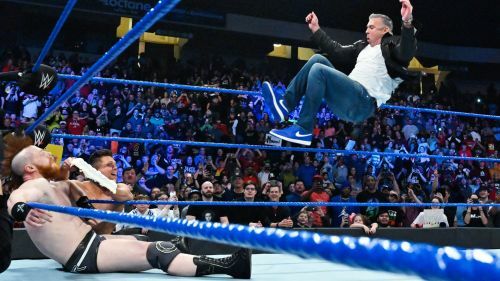 Some argue that SmackDown is better for its length, because three hours is enough time to fill that content becomes uneven, or crowds become exhausted. Nonetheless, more time tends to mean more money offered up to WWE from the network and advertisers, so if the offer is on the table, they certainly could pursue. This article considers what might happen if SmackDown were to go to three hours. More major call ups could be in store to deepen SmackDown's ranks. While there are certainly underutilized talents on both the Raw and SmackDown rosters as it currently stands, we nonetheless know that WWE likes to keep each locker room well stocked with performers to use in a variety of situations, and particularly to plan around having substitutes if anyone gets hurt. With that in mind, if there’s an additional hour of main roster television to cover, we can expect that there would be additional call ups from NXT to help fill out the show. Of course, given WWE’s track record in working with top talent from NXT on the main roster, it’s up for debate whether this is for the good of the talent themselves. What if Roman Reigns never wins the Universal Championship again?